CBD (cannabidiol) is found to reduce inflammation in the body, which takes pressure off nerves, and helps to relieve pain. Cannabidiol is one of over a hundred cannabinoids found in cannabis and is legal in all 50 states because it is derived from industrial hemp that contains less than 0.3% THC. It does not make people feel high. Instead, CBD promotes relaxation. 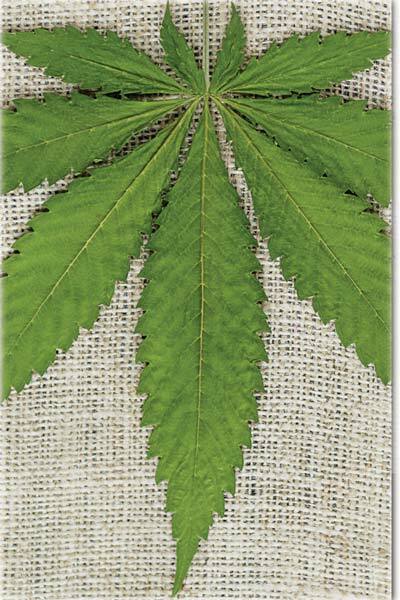 Hemp and marijuana come from Cannabis sativa. Any cannabis plant containing more that 0.3% THC (the psychoactive component) is considered marijuana. THC is the cannabinoid that makes people feel “high” and has also been found to reduce pain and depression. So far, research indicates that the combination of THC and CBD helps those suffering from pain associated with cancer, multiple sclerosis, rheumatoid arthritis, and Crohn’s disease. Research also indicates that patients required less pain-relieving medications when using cannabinoids. A 2011 study of cannabinoid and opiod interaction found that the use of cannabis did not change blood levels of opiods, but a significant reduction of pain was reported. A 2013 study found that Crohn’s patients, who were non-responsive to conventional approaches, found relief from bowel inflammation. Some were able to wean off steroids, whiles others experienced complete remission in the 8-week trial. The many cannabinoids in cannabis have been found to produce different effects in the body. Therefore, ‘full spectrum’ products are preferred for the synergistic effect over isolated CBD alone. A 2017 indicated topical CBD treatment to prevent the development of pain and nerve damage in osteoarthritic joints. We get a lot of great feedback about pain relief from people using full spectrum internal and topical CBD products, such as the Irie brand Pain tincture. This liquid extract also contains other inflammation modulating botanicals such as Turmeric and Devil’s claw. People suffering from chronic pain also love topical CBD products from American Shaman and Receptra brands. There are several factors that contribute to inflammation in the body, and as we have seen in integrative cancer care, taking a holistic approach improves quality of life. Dr Tiffanie Jones is a medically trained Naturopathic doctor, graduate of Bastyr University in Seattle, WA. Her mission is to educate about science-based, holistic approaches to improve quality of life. She trains the Canvas Boutique & Dispensary (CBD) staff and other practitioners about researched benefits of cannabinoids. She visits with clients at Holistic Fitness in St Louis, MO. DrTiffanieJones.com. For more information or to purchase CBD products, please visit CBD (Canvas Boutique & Dispensary), 7168 Manchester Road, Maplewood, MO 63143, 314-308-9122. info@CBDcanvas.com HOURS: Monday-Saturday | 10am-6pm. This entry was posted on Tuesday, October 30th, 2018 at 12:06 am and is filed under November 2018. You can follow any responses to this entry through the RSS 2.0 feed. Responses are currently closed, but you can trackback from your own site.